Have You Been To This Iconic 19-Year-Old Store, Known To Be A Mini-Parrys Corner? Aishwarya Stores in Mylapore is legendary in offering products at budget prices, and has been touted to be the a miniature version of Parrys Corner. Ask anyone in Mylapore where they do their household shopping and they will tell you China Bazaar, another name fondly given by Mylaporeans to Aishwarya Stores. 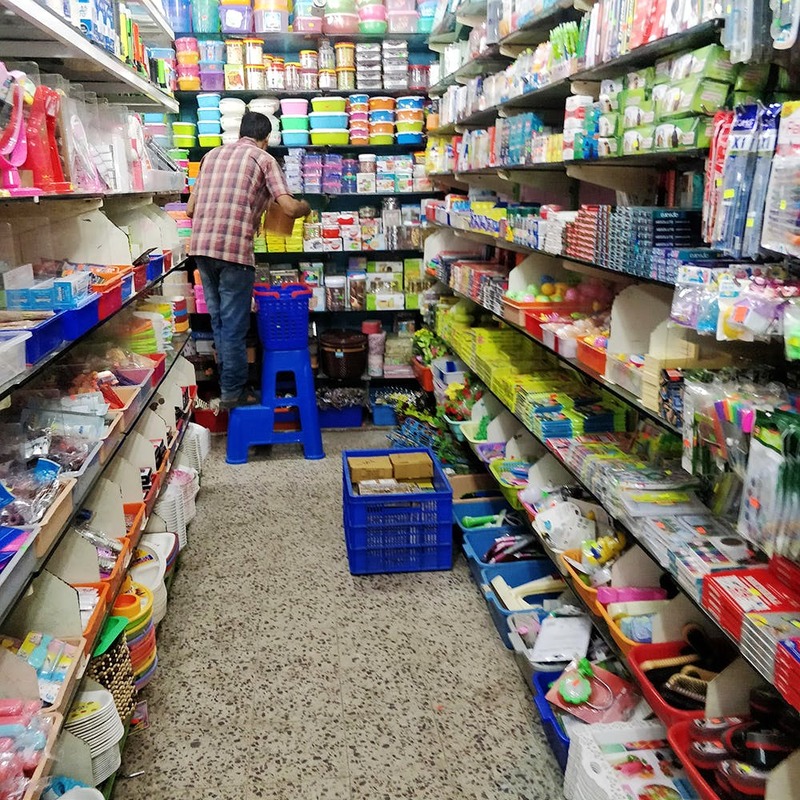 This 19-year-old store has everything - tiffin boxes, water bottles, crockery, gifting items, plastic furniture, and bath and body products. So, what makes China Bazaar awesome? Budget prices and variety of products, of course. Here, they’ve got plastic and steel tiffin boxes, storage boxes, and utensils starting INR 40. In the gifting section, there are vases, tiny idols of deities, cutesy crystals, clocks, and the good old chinna kanaadi (tiny mirror, which you’ll get in all vethala paaku). Lots of people flock here for the budget plastic chairs, baskets, tubs, mops, and storage boxes, which are priced from INR 100. There is an exquisite tray collection here too - with pulli kolam and artsy patterns. You will find crockery - plates, spoons, bowls, tumblers, and glass cutlery, too. Mylaporeans, you’re probably already doing your shopping here, so those not from Mylapore, head to this store to finish your shopping under a budget. Shop here on weekdays, as on weekends it's super crowded.